Limi Valley is situated in the Northwestern region of Humla District. It is in the Karnali Zone of Nepal, nestled in a trans-Himalayan valley bordering the Tibetan Autonomous Region and consists of three ethnic Tibetan villages, Til, Waltse and Zang. The nearly 2,000 inhabitants of the valley are a tribe of Tibetan origin. Due to its remoteness, there is very little Nepal government presence in the valley to support its development, nor any financial assistance to help support the valuable culture. Limi is only accessible by foot, horse or yak. From Simikot to Limi, the 5-day journey requires crossing the Nyalu-La pass (4,900 M) and Nara-La pass (4,500 M). The Limi people realized the need to educate their children, but due to a lack of local support, they had to send their children to boarding schools in Tibetan refugee camps in India and Kathmandu. This alienated the children from their families, community, and culture. Many were never to return due to the lack of opportunities in the valley. In 2008, the communities rallied together with whatever support they could and initiated schools in all three villages. 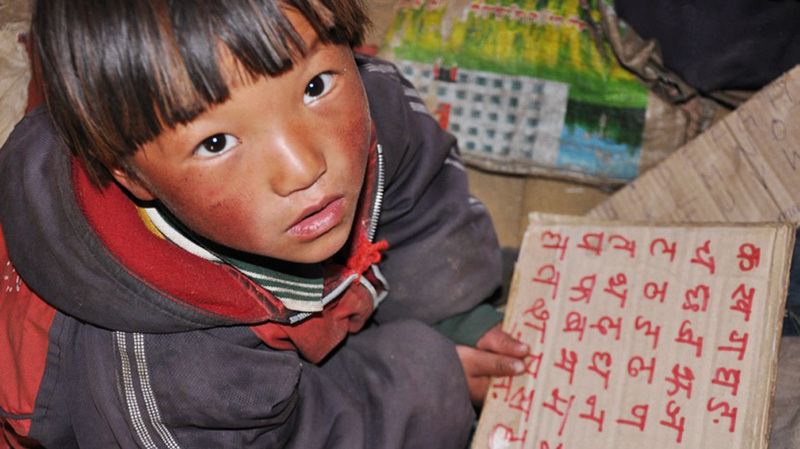 By 2010, the state of education in the Limi Valley was in dire straits. The three schools initiated by the local communities were mostly funded by village leaders garnering support from the Nepali government to provide education for two years. However, that support is no longer available and repeated requests have been declined. Many of the teachers still available presently have worked without pay for the past year and a half. The situation was on the verge of collapse with the imminent likelihood of the closing of the schools entirely. A team of travelers, led by Roshi Joan Halifax, came passing through the valley on their way to the sacred mountain of Kailash just at that critical time. They met with a young Norwegian Anthropologist, Astrid Hovden, and were able to understand the community and their dilemma from a very informed source. This led an initiative to raise the funds needed to support education in this precious region. The Kail team, after connecting with us at our hospital in Simikot, realized we also had a mission of education and asked if we could manage such a program if they were to fund it. The timing seemed more than synchronistic! Accepting this educational program, CITTA began to support the education of these three schools in collaboration with Limi Youth Society as of June 2011. Our aim is to establish a more formal mechanism for the school’s development and sustained activity. This project will create the opportunity to provide a consistent education for local children, improve literacy rates and help to preserve the local culture.